The inspiration for Firecakes is rooted in Karen’s family history. Her grandfather, William “Billy” Hobbs, was a baker in the logging camps of northern Wisconsin in the 1930’s. Responsible for feeding large groups of working men, Billy used his limited resources to create tasty baked goods that would sustain the workers throughout their long and arduous workdays. 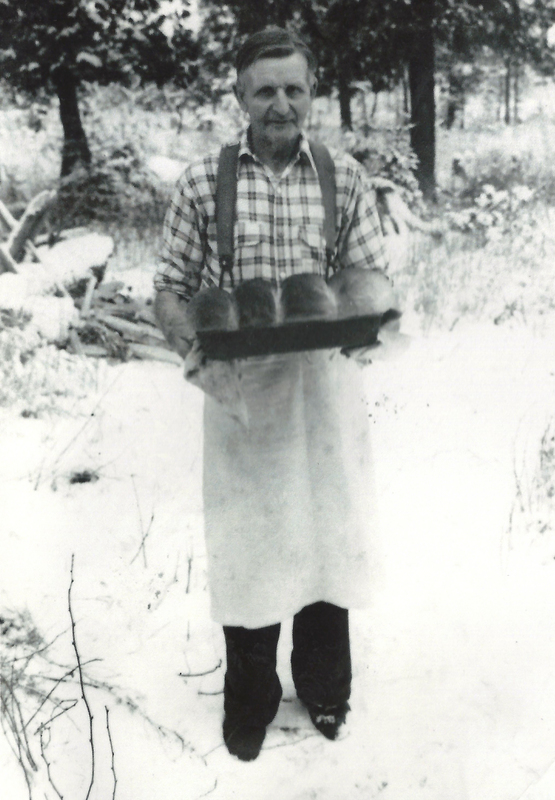 Billy was renowned throughout the region for his excellent bread, and after acquiring a round dough cutter (the original of which is located in our Hubbard Street shop), Billy began making “firecakes”, a backwaters take on the modern day donut. His original fried treats were made in a large, cast iron pot of oil over an open fire and sprinkled with just a little bit of sugar. Our recipe is based off of Billy’s original, a closely guarded family secret. We source locally farmed products and unique ingredients to make our very own “firecakes”, and just like Billy, we serve our donuts starting early in the morning and going well into the night. Because we believe that everyone — not just early 20th century loggers — can use a sweet treat to get them through.